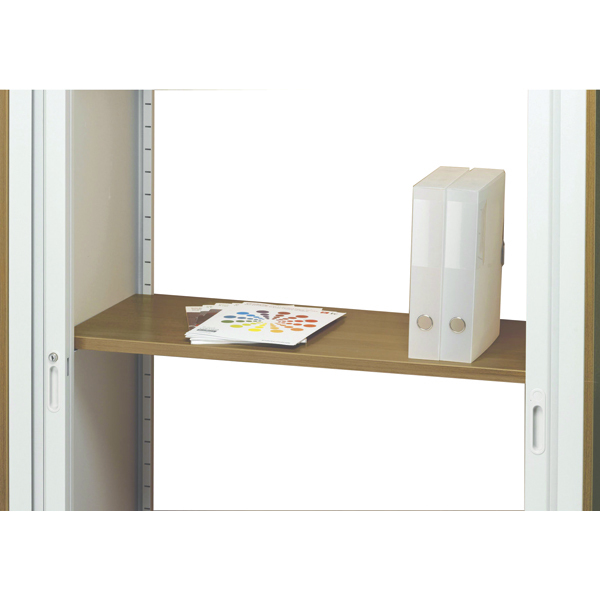 Add an extra level of organisation to your Arista Tambour Cupboards with an Arista Adjustable Wooden Shelf. Create a separate compartment in your cupboard for filing or divide your cabinet into individual sections for assigned functions. The beech finish on this shelf coordinates with the finish on your tambour cupboard, creating a contemporary and synchronised filing system for your home or office.